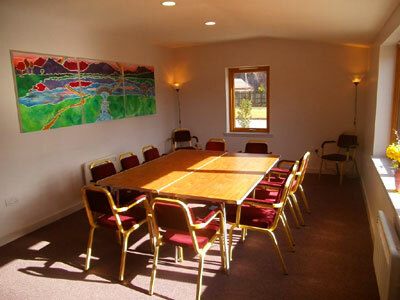 The Community room is a light and airy meeting or conference room, situated on the Ground Floor, with views across the playing fields to the hills. It is also ideal for smaller clubs and events. The room comes equipped with large folding tables, which can be laid out to meet individual requirements, and fitted cupboards and worktops. The room is self-sufficient, with separate access, hot and cold water, a sink and tea and coffee making equipment and crockery.